Our Oracle Database 11g :Administrator training course for Professional Certification is designed to provide database administrators the skills and knowledge to install, configure, and maintain the database. 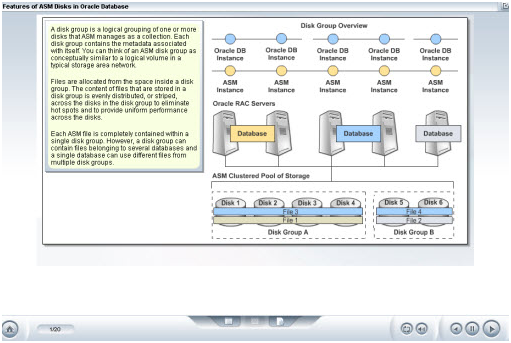 Our training tutorials for Oracle Database 11g are created to meet today's DBA challenges. Choose your preferred path and review the certification requirements for the credential you would like to pursue. Certification requirements vary by path. Candidates should thoroughly examine and understand the requirements for their chosen certification path, as the certification requirements will vary depending upon which path you select.